I am Jim Duncan. The Realtor. The soccer player and coach. Partner at Nest Realty in Charlottesville, Virginia. Friends who have known me for a long time call me Jimmy. I’m glad I have a blog and doubly glad I own it. 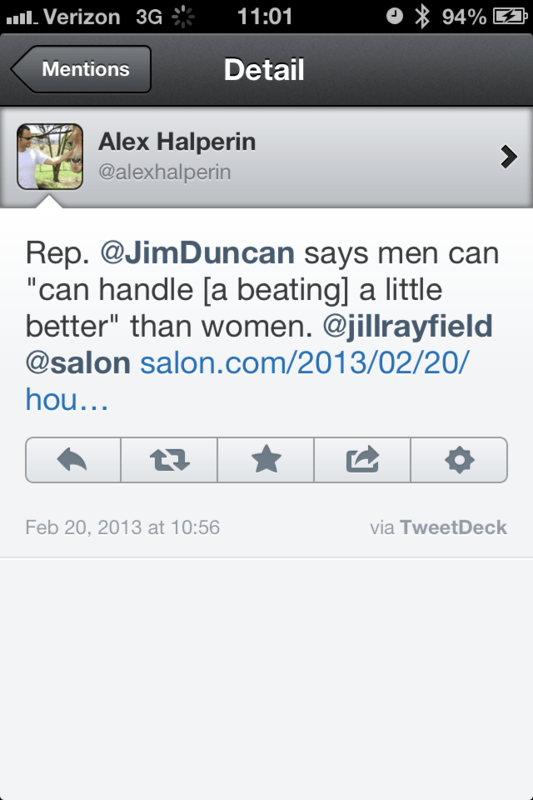 @AlexHalperin was extremely responsive to my quick response. He deleted the original tweet, re-stated it removing me – @JimDuncan – and then tweeted this retraction/apology. 2) Respond as quickly as possible to negative things. 4) Thank folks for clearing things up. 5) Monitor your name and reputation; the internets have a long and permanent memory. 6) This post might be overkill, but I’d rather take no chances with my reputation. so are you saying women can handle a beating better? Please excuse any perceived brevity or curtness. Sent from my phone.